Thank you for your interest in our company and our software! 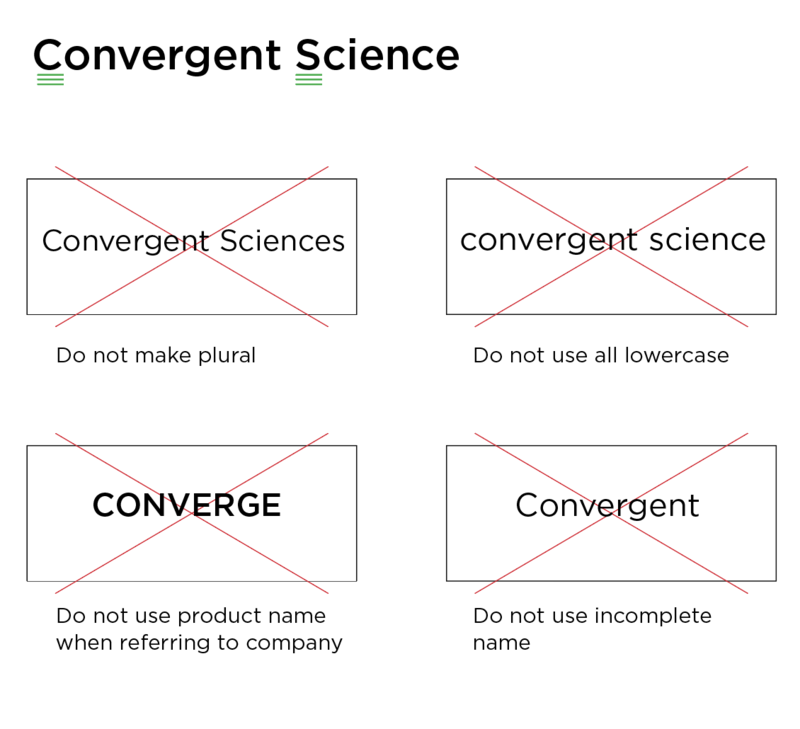 Please adhere to the following usage standards when referring to Convergent Science or CONVERGE in any written document (for example, a technical paper, conference presentation, magazine article, or press release). Please refer to the company as Convergent Science. Convergent Science is two words, always spelled with a capital "C" and "S". CONVERGE CFD software refers to the full suite of CONVERGE products. Use CONVERGE to refer specifically to the CFD solver and CONVERGE Studio to refer to the graphical user interface. 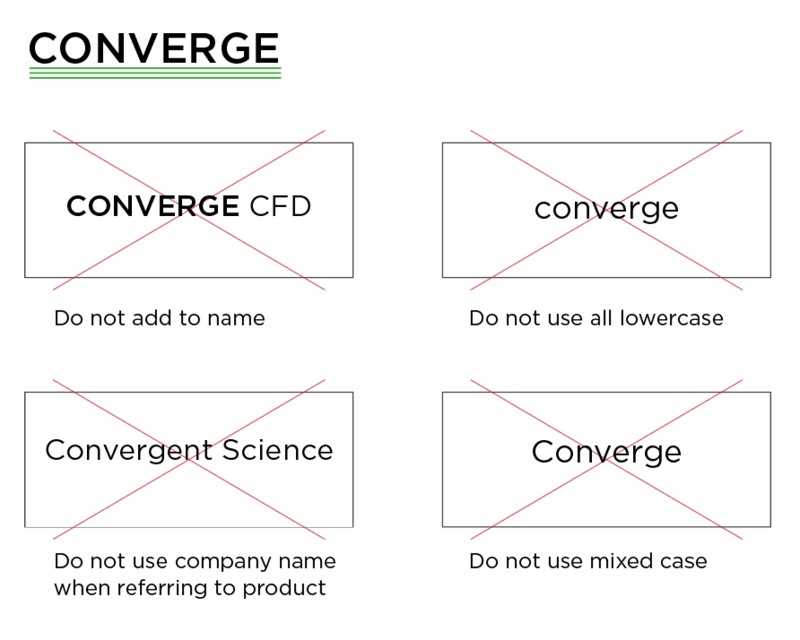 When referring to CONVERGE or any of the CONVERGE CFD software products, CONVERGE should be displayed in all capital, bold, sans serif type. Need more information? The Media Kit (PDF) contains our logo usage guidelines, company and software profiles, and other related information.